While the 21st Century has given us a wealth of advances in science, medicine and technology, at the same time we’re currently burdened with one of the most turbulent political periods of modern history. War and conflict remain a constant threat in some corners of the world, particularly the ongoing battles taking place in Syria. The idea of using war as an inspiration for music isn’t a new one. As a topic it remains a fervent area for commentary and debate, from Edwin Starr’s iconic ‘War’, Paul Hardcastle’s ’19’ and REM’s ‘Orange Crush’ (all referring to the Vietnam conflict) through to Time Zone’s bombastic 1984 cut ‘World Destruction’. Bringing us back to the modern age, electronic outfit She’s Got Claws has crafted a collection of songs that revolve around its own discussion on conflict and the result is War Torn, a 9-track album that features some gritty and engaging synthpop. She’s Got Claws first emerged as an electronic music act in 2011 as a one-woman musical outfit. Micci, the brains behind the concept, had already chalked up time in the likes of Adrenalin Junkies, which later became electro punk outfit Paparazzi Whore. Keen to plough her own path, she took titular inspiration from the classic Gary Numan song to create She’s Got Claws. Musically, the new venture pulled from an interest in the likes of Trent Reznor, The Prodigy and Chemical Brothers, but with an emphasis on multi-layered effects on vocals in a bid to craft a machine-like style. An eponymous album release arrived in 2012 and was followed by the Synthetic Emotion EP in 2015. She’s Got Claws enjoyed some positive press and also received exposure via the BBC Introducing series and coverage in Electronic Sound magazine (who summed up She’s Got Claws as “A one woman electronic powerhouse”). Perhaps more notably, support arrived from none other than Andy McCluskey. The OMD founder-member has always had a keen eye on emerging talents in the electronic music world (which led to Tiny Magnetic Pets joining OMD in a support capacity for their 2017 Punishment Of Luxury tour). Music aside, it’s easy to see how the likes of Andy McCluskey can connect with an album such as War Torn. OMD have shown an historic interest in war as a theme, from 1980’s ‘Enola Gay’ through to the 2013 B-side track ‘Frontline’ and 2017’s ‘La Mitrailleuse’ (See our sister site Messages for a feature on ‘OMD And The Art Of War’). 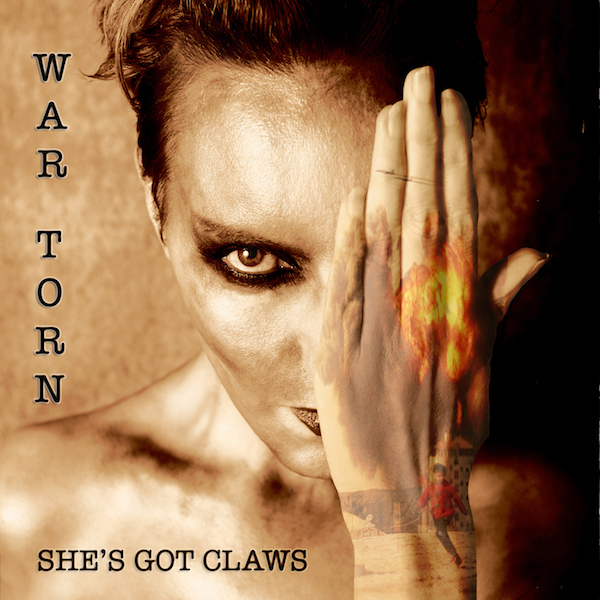 War Torn was launched as part of a PledgeMusic campaign (rapidly becoming the go-to resource for both amateur and professional musicians). As well as raising funds to produce the album, She’s Got Claws also used the campaign to raise funds for UNICEF, the United Nations initiative that provides humanitarian aid to children in developing countries. As an album, War Torn doesn’t mask its themes and inspirations, but at the same time demonstrates that music can engage the mind on several levels. 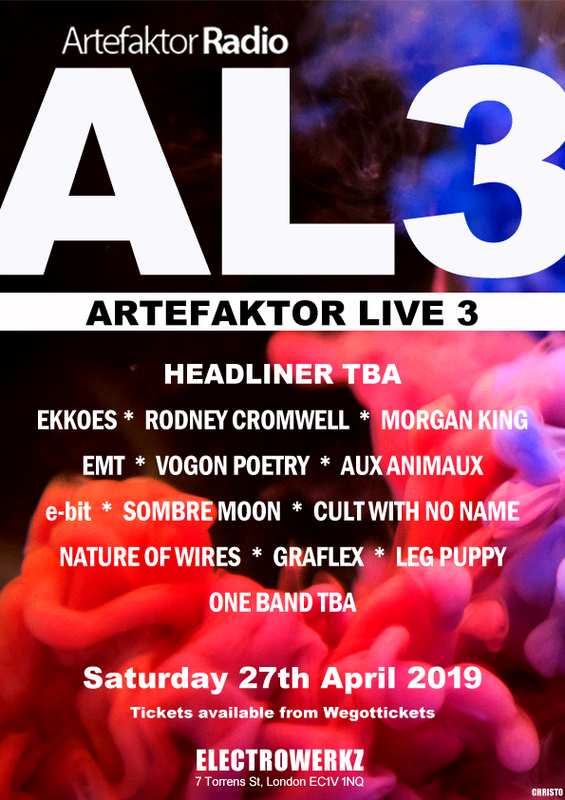 The songs contained here boast an often-raw visceral take on electronic music. There’s plenty of nods to classic synthpop here, yet without resigned efforts to pastiche or mimicry. The album kicks off with a strong number in the form of ‘Armchair Generals’ (also previously released as a single last November). A coiled slow-burner, the treated vocal elements lend the composition an odd other-worldly aesthetic, while the layered effects and hook-laden melodies will stay with you for some time. Meanwhile, the lyrics have some pointed commentary on the spectator aspect of modern warfare (“You watch disaster with your tea/shake your fist of bigotry”). Much of the music on War Torn relies on a machine-like percussion at times, something which gives the fractured electronic collage of ‘You Won’t Break Me’ a broad base to work from. Elsewhere, there’s a more reflective approach on ‘Ceasefire’, its brooding synthpop tones still managing to give a sense of unease. There’s a more classic synthpop feel to ‘Hymn To The Fallen’, an unreconstructed affair with sibilant vocals (that suggests to these ears the 1984 baroque pop of ‘High Class Butcher’ by Julian Cope). The lyrics have a disconcerting tone about them with themes of masculinity and the pressures of conflict (“big boys don’t cry/with fear in their eyes”). Meanwhile, ‘Tomorrow Is The Same As Today (Pt.1)’ utilises a lot of sourced speeches culled from the likes of Jeremy Corbyn and John F Kennedy. There’s a more martial beat to the musical composition here and it fades out to the sounds of gunfire and battle. The industrial beats of ‘Ghosts In Your Flames’ offer up a stark foundation for more rumination on the nature of war, while album closer ‘The Perilous Journey’, offering commentary on the refugee crisis, delivers a sweeping soundscape that’s augmented with some suitably chilly electronica. War Torn is out via download from 19th March 2018 on iTunes, Amazon and streamed on Spotify and Apple Music.